On April 11, poet Robert Hogg revisits his 1970 reading, which took place at Sir George Williams (now Concordia), through a mix of readings in the present with recordings from the past. Join us for this performance, with a Q&A to follow. 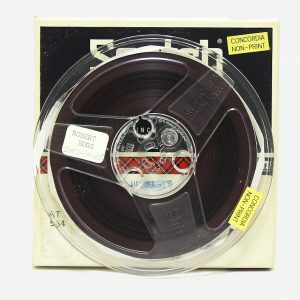 A Poetry Listening is an event that reactivates audio archives by presenting poets reading alongside their “past selves” – or rather, alongside selections of archival audio recorded during the SGW Poetry Series (1966-1974), a series that is part of SpokenWeb’s literary audio collection. Past readers have included Daphne Marlatt, Diane Wakoski, George Bowering, and David McFadden. Robert Hogg is a retired English professor and organic farmer who now devotes his life to writing. He has published several books and his work has appeared in numerous periodicals. He is currently working on four collections: Lamentations, The Cariboo Poems, American Postcards; and The Vancouver Work. Two chapbooks, Ranch Days—for Ed Dorn, from battleaxe press, Ottawa; and Ranch Days—the McIntosh, from hawk/weed press, Kemptville will be out Spring 2019.